When I was at Texas Bible College (1989-1992), J. R. Ensey was the president of the school. It just so happened that some years prior to this, he had been the promotions director for the Home Missions Department when Brother J. T. Pugh was the Home Missions director. During that time, their close proximity working together had built a friendship between the two. Brother Ensey was telling us one day in class that every Monday about mid-morning that he would go to Brother Pugh’s office and they would swap tales from their weekend preaching engagements. For those readers who come by and aren’t Pentecostal, an explanation might be in order leading up to this tale. For whatever reason, Pentecostal churches over the years have always had the ability to attract some of the world’s first-class fruitcakes (as in people, not the brick-like dessert). I can remember as a kid some of the loony tunes who came through our church and I always held my breath, fearful of what antics they might get involved with before the service ended. In fact when I was in Houston going to school, one of the instructors, Ken Gurley, gave us a good piece of advice. He told us not to run off the village idiot (and every church had one) but to keep them around because if we ran them off they would be replaced with seven who were worse than they were. This provoked great mirth from our class. However as the years have flown by I have just about come to the same conclusion that Brother Gurley had. As Brother Pugh was telling this story, each time he repeated what Pastor Cupit had said, he notched his voice up a bit. What Brother Ensey was not aware of was that with the HM Director’s office door open, a small group of people had been collecting out in the hall and were creeping up every time Brother Pugh would repeat the words to stop shaking. On that last, long, loud call with Brother Pugh almost shouting, “I said stop that confounded shaking!” there were five or six people with their heads stuck through the door all looking at Brother Ensey, who was sitting in his chair, back to the door, totally unaware of the gathering crowd. So engrossed in the story that Brother Pugh was telling, he had forgotten the open door. When one of the people who was looking in the door asked, ‘Brother Pugh, is everything alright?’; Brother Ensey told us he looked around saw the crowd and then heard Brother Pugh say to them, “He’s OK now.” We all howled at this story. As time has passed, I periodically remember that tale and think of how hilarious that it must have been on that Monday morning at WEC when Brother Pugh was Home Missions Director. Brother Ensey told us another story about a hospital visit that Brother Pugh made one day with General Superintendent Stanley Chambers. In addition to Brother Chambers there was another WEC official with him. Brother Pugh took off about four or five steps in front of these men and headed down the hall at a quick clip right behind him because they assumed he knew where to go. After a few turns, Brother Pugh walks up to a door, opens it, and holds out his arm leading Brother Chambers and his neighbor in the door. Both step in and Brother Pugh closes the door and heads off down the hall. He stops at the nurses’ station and then turns around and watches the door that he has just led these men into. In about 30 seconds or so, Brother Chambers and his cohort both step out and began looking around trying to get their bearings. . . . Brother Pugh had opened the door to a large janitor’s closet and they had both walked in. Again, we all howled at the antics of Brother Pugh. Obviously, while he was a very serious man, it was also evident that he had a great sense of humor. . . .
UPDATE: Bessie Pugh, wife of Bishop J.T. Pugh, passed away in her home at about 11:30PM on Wednesday March 24, 2010. Preliminary funeral arrangements are set for a double funeral service as initially scheduled for Friday, March 26, 2010. With the passing of Brother J. T. Pugh, I am drawn to some memories that I have of him. I mentioned yesterday how that I had about a 30 minute conversation with him back in September, 1997. We were at a licensing seminar and he was the main speaker. After lunch I did not have a session that I was required to teach at the time and so just he and I were at a table in the fellowship hall of the church. It was during that time that he was writing the book, The Wisdom and the Power of the Cross, which is one of the most incredible books I have ever read. Over the years, I have picked it up over and over and re-read various portions of it and now as I flip through some its pages, they are quit marked up and have numerous comments written out in the margins. As he was writing this book, he told me a story about a bridge in Michigan. From that particular bridge 100 people have jumped in an attempt to commit suicide. Of those 100, 87 have died and thirteen have lived. Of those thirteen who lived, they have gone on to become very successful people in business and finance, education, and so forth. One of the thirteen was asked what it was that had made the change in his life. He related that the “shock” of the water, how cold that it was, how that he suddenly realized that if he did not swim that he was going to die. From this shock, he found the motivation to give life his all. Brother Pugh then told me that the Cross brings a similar shock to our lives. Once men gain the understanding of the Cross Principle, it forces them to come to terms with their soul. What are we going to do with the shock that takes place with conversion? Will it have the capacity to change us? Will it direct us or will we direct it? Will it cause us to reach beyond ourselves in a spiritual sense for God or will we fritter away our opportunities? The Shock of Contradiction -- No matter what we may tell ourselves or that others may tell us, the power of the Cross gives to us an identification of our own sin. The Shock of Repentance -- Suddenly finding our lives convicted by the Spirit, we must do something. That something is the emptying of our hearts of the vile things that are generated by the flesh. The Shock of Self-Surrender -- This goes against all that we have ever known. To give up, to give in to the call of God. Self-preservation is not the real focus of the kingdom. When self-surrender occurs, suddenly we began to overflow to others what God has given to us. Self-surrender helps us to understand that there is something of higher value and a greater cause in life. The Shock of Holiness -- The power to overcome the wickedness of the flesh not on our own but by the drives of the Spirit. Jesus reached the conviction that He must bear the Cross. He could not come to terms with the world, but was compelled by love to renounce deliverance and bear the Cross. Means to take sides with Christ. Means to stand with Him at all hazards. Means to oppose the worldly spirit even until our death. Means you will have to bear some shame and loss what this world has to offer. Means you will have to have far more courage than those in the world. The Lord leaves us no room to doubt that every true follower of His must bear a Cross. It has to be a definite act of faith and taken up to follow him. This was the gist of the conversation because as soon as it was over, I went and took my marble notebook and scribbled down all that I could remember that he had said. In the conversation, he did mention Brother Kilgore as a man who had entirely lived out the Cross Principle in his ministry. Today as I write this, it comes to me that both of these stalwarts grew up in incredible poverty and determined to change their worlds with the help of God. What does this say to our generation who has so much of an entitlement mentality? Will our entitlement mentality sink us whereas those who grew up in great poverty become world changers? There are a host of other things in this book that I cannot place here but you owe it to yourself to get it and read it over and over again. The life totally devoted to God is a lifetime process, primarily because we often lack knowledge of what God is attempting to do. As our knowledge increases, often our commitment increases. This has to be applied to my life every single day! To become one who longs for and chases after the Kingdom of God. Often the pursuit of God’s kingdom takes us through humiliation, defeats, distresses, pressures, but as we go through these rites of passage, we become God’s man! An incredible stalwart among us has passed to his reward on this day. 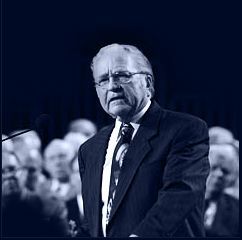 An e-mail found its way to my box this afternoon from UPCI General Superintendent David Bernard informing us of the passing of Jessie Truman Pugh. Over the years Brother Pugh has provided great insight and encouragement to a lot of men who are in the ministry. He was an icon among us and did his job with incredible discipline and insight. 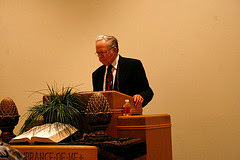 A number of sermons preached by Brother Pugh over the years can be found at Faithbuilder (enter the site and then select his name from the drop-down menu). This week I will resurrect some of the recollections that I have of Brother Pugh. Although I cannot say that I was close to him, I did have a few opportunities to spend some time with him. The first time was in the fall of 1996 when I was involved in teaching a few sessions at the district licensing seminar in Alabama. He happened to sit down at the table where I was eating and since I did not have an immediate obligation in one of the after lunch sessions, I was able to spend about 30 minutes talking to him. It has been one of those lifetime memories that remain with me. I heard another story recently about J. T. Pugh that probably fits well with this blog. J. T. Pugh was raised by his two older sisters in an old clapboard sharecropper’s cabin in Noble, Louisiana. His father died when Brother Pugh was just four years old. A tornado came through the town and he died in the tragedy of that storm. His mother died when he was just in his early teens and he was left with his two sisters to make the best of things as they could. He said that there never was a day in his life when he felt that he would just skip school and quit. He saw it as a way out of the deep poverty that he was so accustomed to growing up with. It just so happened that when he was in high school that a teacher noticed that Brother Pugh had a talent for public speaking and the more she noticed him the more convinced she became that he could perhaps do something with it. She would go home at night and tell her husband about Brother Pugh’s thirst to learn and better himself. Her husband owned a general story in Noble but this man also had some attachment to the local VFW. One day, Brother Pugh was walking home and passed by this store when the man was out front sweeping off the porch. 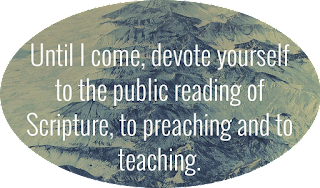 He called out and said, “Are you J. T. Pugh?” to which Brother Pugh answered, “Yes sir, I am.” He told Brother Pugh that his wife, the schoolteacher, had been telling him about how he had applied himself to the books and lessons and also that he had a knack for public speaking. The conversation went on and he mentioned that every year the VFW would sponsor a student to give a patriotic speech and there were prizes that were awarded to the winners. If Brother Pugh was interested, the store owner told him he would work with him and it could be that he might win. He told Brother Pugh that they gave scholarships to various colleges around the country. Time passed and Brother Pugh, the store-owner, and the schoolteacher, worked long hours after school with Brother Pugh crafting and working through his speech. Somewhere deep in his mind, Brother Pugh saw this as an opportunity for education to get him out of his deep seated poverty. So the work, the self-denial, was not a task but almost a relief. One of the finer details had been revealed to all of the contestants just before the competition had begun. The winner of the regional event would go on to New York City and compete nationally for a scholarship to Yale University. Brother Pugh felt like this was his ticket to get out of all of the poverty and downtrodden life he had lived. Something begin to beat on the inside of him like never before. He went out on that stage in Memphis and delivered his patriotic speech and he won the southeastern regional division. Now it was on to New York to deliver his speech and to get the scholarship from Yale. Opportunity had finally swung in his direction! There was a space of time between the regional competition and the national competition and during that space of time, Brother Pugh's two sisters were praying for him. The praying sisters lived in Tupelo, Mississippi where a very primitive Pentecostal Bible college had been set up. It so just happened that Brother Pugh went over to see them during the Christmas break. He said that when you get around praying people it has an effect on you and the Lord started pulling at him in Tupelo. His sisters were praying because they knew the end effect that would happen if he were to win this scholarship to Yale. So late one night after going to church and getting in late, his sisters went on to bed and Brother Pugh was sitting in front of a pot-bellied wood stove in that cold December winter. The Lord was dealing with him about a call to preach and he was having all of his excuses torn down by God. After a while, he reached into his pocket and pulled out that speech and began to pace back and forth while he read his speech on that tattered notebook paper. Finally at last, he walked over to that stove and opened up the door and tossed his speech into the roaring fire. However it happened, it did. . . Brother Pugh said that in that moment the Lord showed him his whole entire life. He won the speech contest, he went on to Yale and finished. The Lord showed him the woman he would have married. The Lord showed him the job he would have had and then it all turned and the Lord showed him a miserable life. One in which his material dreams would have been realized but his marriage would have been a prison trying to love a women who despised him, children out of control with no spiritual aspirations, and largely a very miserable life. Fast forward in time to Deleon, Texas where he knelt down in a clapboard house by a threadbare, worn couch and asked, “Bessie, will you marry me? I can only promise you a life of wearing worn-out shoes, faded out dresses, without a car for several years, and you won’t have much. I can only promise you a life of doing the will of God but if you will have me, I will love you with all of my heart.” He said that with tears dripping off of her face, she said yes. I told this story in a sermon I preached about 2 months ago to the home crowd here in Dothan. The story demonstrates the power of the call on a man’s life. It is highly, highly doubtful if Brother Pugh would have gone on to Yale that he would have made the impact on the Kingdom as he has done over the years. . . . NOTE: Photo of Brother Pugh was from flickr account of Keith Womack. Apparently taken at a conference in Monroe, Louisiana.